Every month The Basement provides you with a RAW, EDGY & UNCUT COMEDY EXPERIENCE. Come early to enjoy the food truck & pre-party with DJ Bllaccboi & Drummer Jason Holt while co-host @JayDukes sets the mood for the evening. 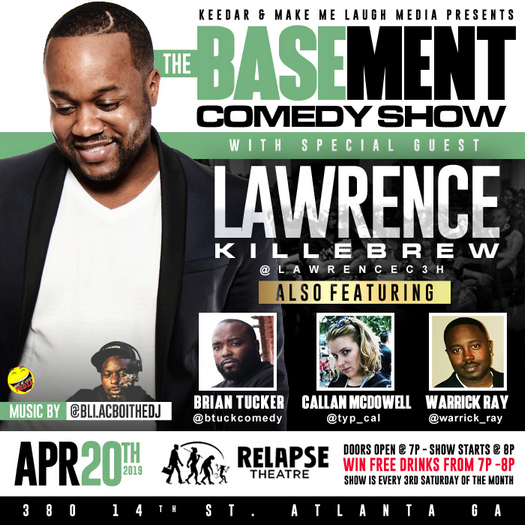 Host @Keedar & @MakeMeLaughMedia brings the funniest comedians for a well deserved Date Night, Birthday Party Celebration or a night for Comedy Fans! The show has been selling out lately so jump now and secure your spot!